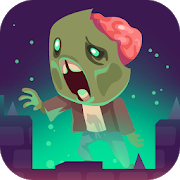 You're trapped on the rooftop and surrounded by dangerous zombies. Aim with your powerful sniper rifle and kill them all in order to make it out alive! Finally earn all of the achievements and made it all levels of that game.